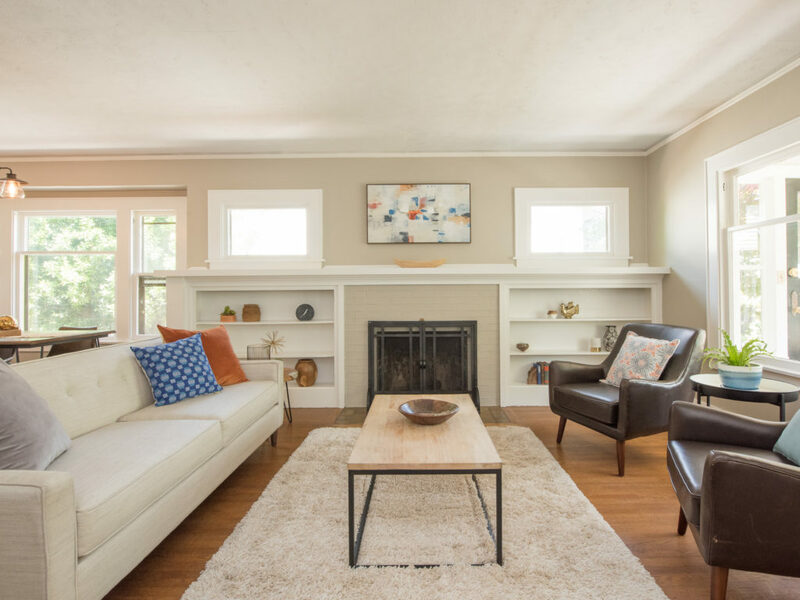 This bright, joyful and well-maintained 1922 Craftsman lives large in the centrally located Creston-Kenilworth neighborhood. 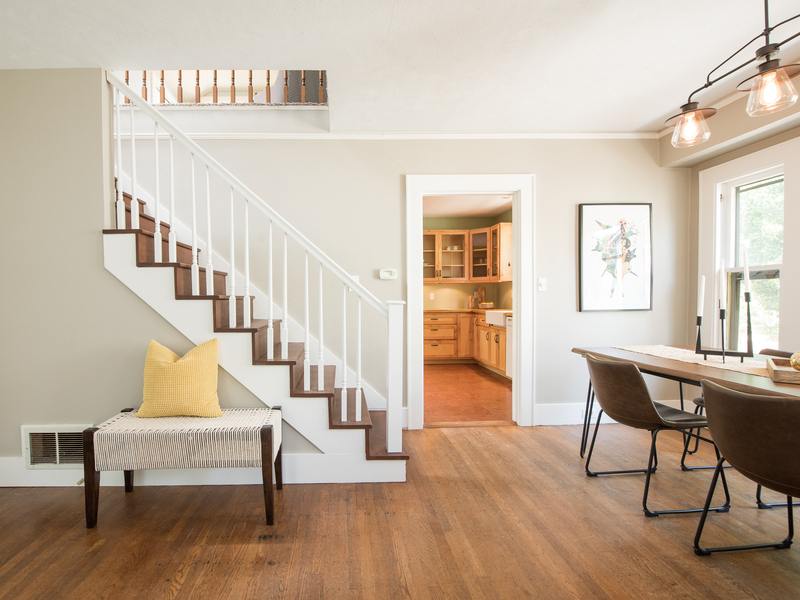 You arrive to a gorgeous sun porch that floods with morning light – the perfect cozy coffee nook. Four pairs of hinged windows let in the breeze, and there’s also a wall heater to take away the chill. 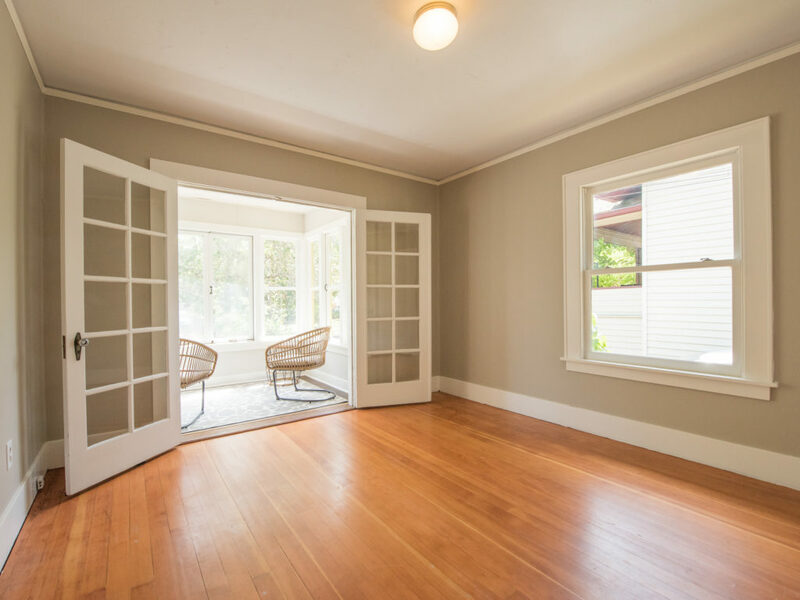 A beautiful glass-paned front door opens into the spacious main floor with two bedrooms, a full bathroom, and a large open living room with big windows, working wood fireplace and original built-in shelves. 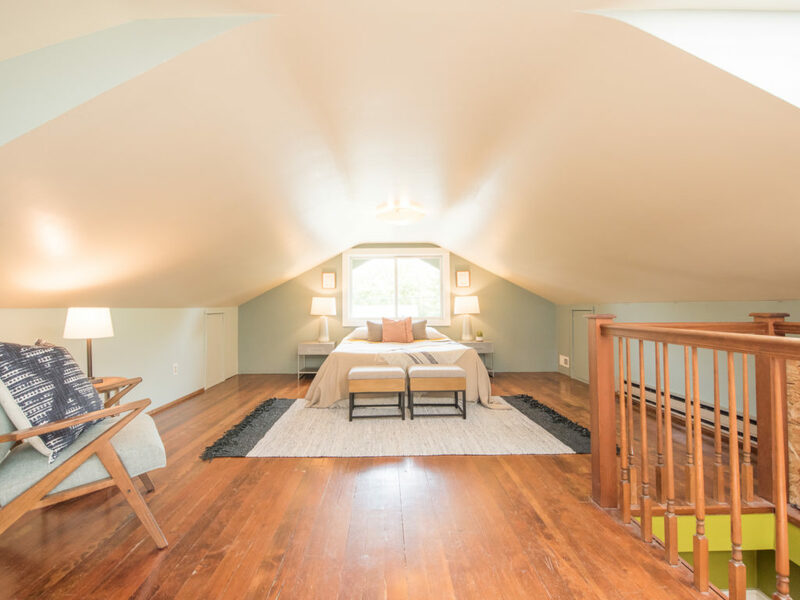 The recently refinished staircase leads to a large master suite with two skylights, as well as an office / reading space. The dining area is nestled just off the kitchen for seamless service and conversation. 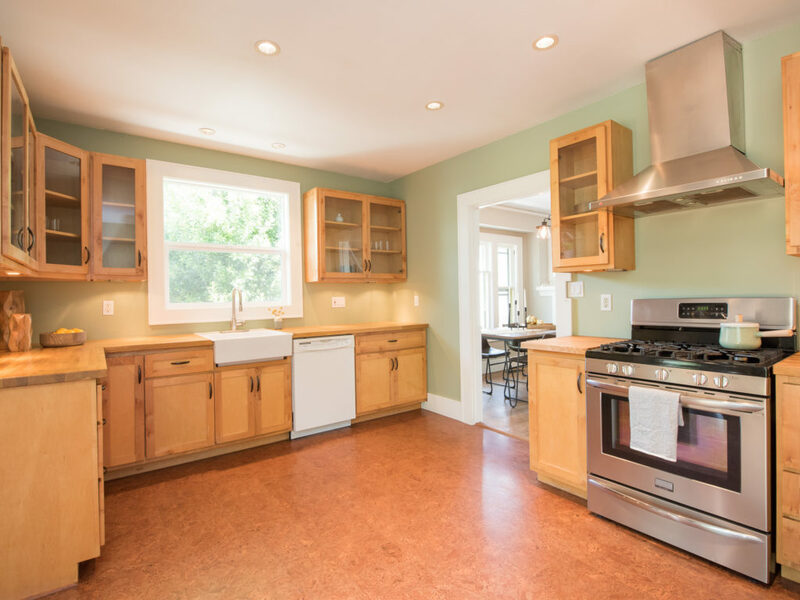 The heart of the home is the kitchen where the custom wood cabinets and countertops positively glow, and are set off nicely by the richly-colored cork flooring. 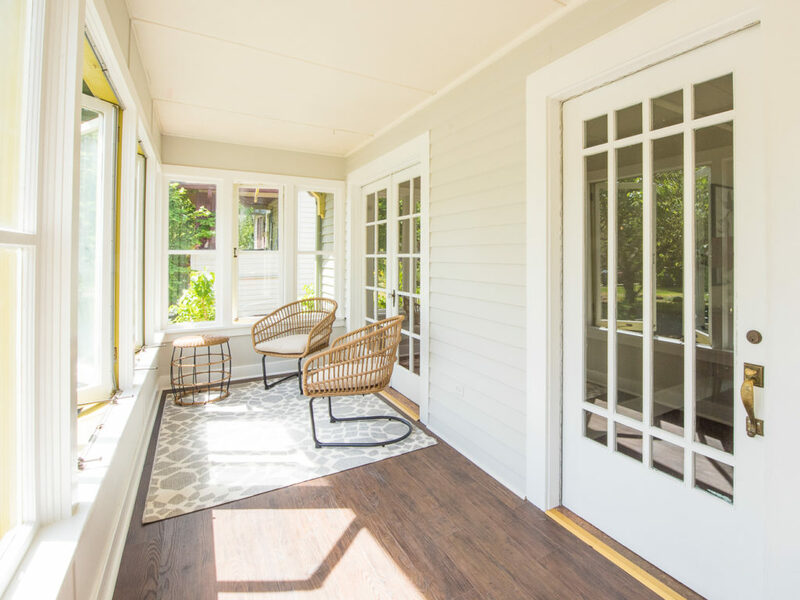 Abundant sunlight streams from the french doors leading to the western-facing back deck and patio. This is a wonderful space for entertaining and it easily connects to a sunny backyard that’s perfect for gardens, play times and parties. 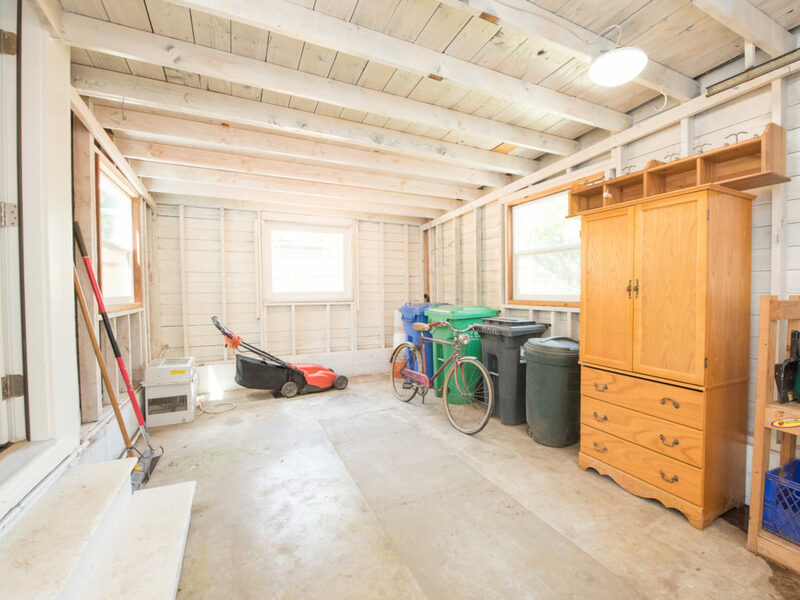 An additional outside door leads into a mudroom / pantry, as well as the recently rebuilt garage, which could be converted into an ADU, studio or craft space. The basement has a large bedroom / bonus room with a daylight window, separate laundry room, and a ton of storage space throughout. This is the ideal home base with its central SE location on a quiet street just a short walk or bike ride to shops, parks and the 17 and 75 bus lines. 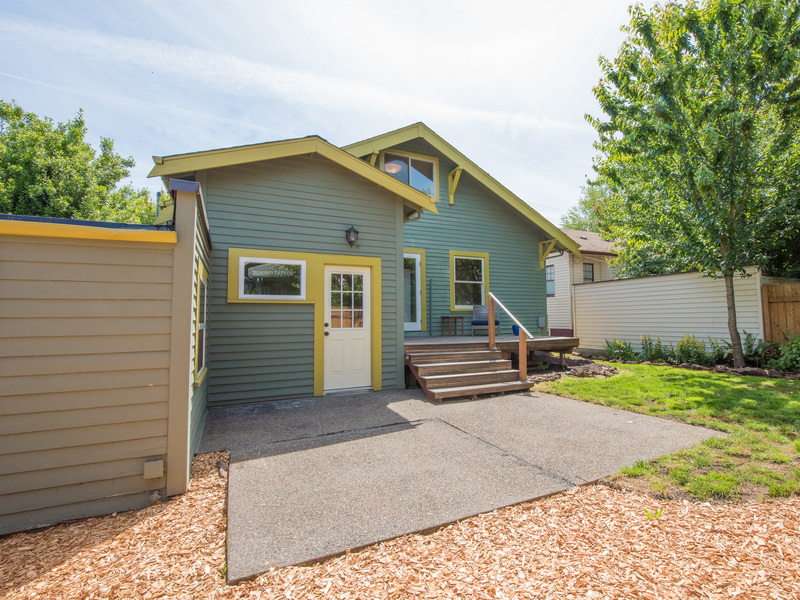 The house is .4 miles to Creston Elementary and 1.1 miles to the newly renovated and updated Franklin High School. 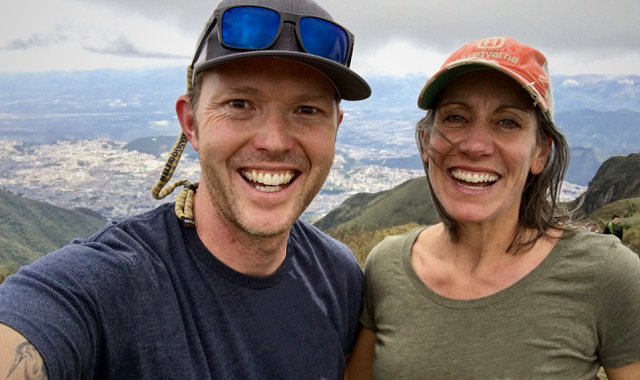 In addition, Creston and Woodstock Parks are both within .5 mile and it’s just a few blocks to Trader Joe’s, the 42nd Avenue bikeway, and new local fav Coffee Beer. 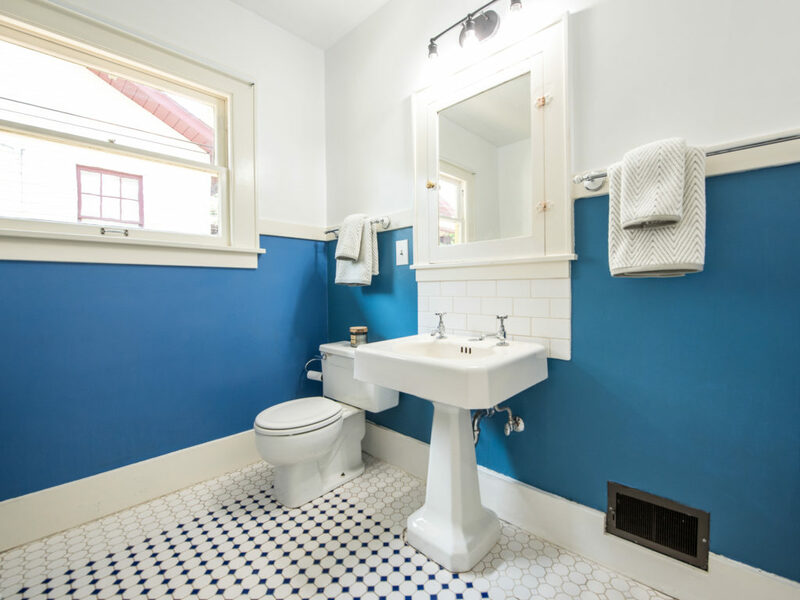 Boasting gracious spaces, sturdy bones and fresh paint, this gem is ready for its next loving and lucky owners!